Olinde Rodrigues has been a somewhat obscure figure in the world of mathematics and some details of his life are reported differently by different historians. Recently, in , a more accurate picture of Rodrigues has been established. The information we present below has been corrected as far as possible using the biographical details presented in . Olinde Rodrigues's father was Isaac Rodrigues (30 March 1771 - 8 September 1846), a bookkeeper, and his mother was Sara-Sophie Lopes-Fonseca (11 January 1776 - 18 February 1846). Isaac and Sara-Sophie had eight children, of whom Olinde was the eldest. We certainly know that he did not use his first name Benjamin and was known as Olinde Rodrigues. In fact Olinde was not one of his given names. Rather in 1807 Jews living in France were required to modify their family names and in the following year they were required to add a name of French origin. At this point Olinde was added to Rodrigues names. It is a slightly unusual name, but the explanation for this is quite logical. The family were Jewish and wished to obey the directive yet not give Rodrigues the name of a Christian saint. Sometimes in later life he used the name Benjamin-Olinde. Rodrigues was born into a Jewish family which was almost certainly of Spanish origin (although some claim that the family were of Portuguese origin). We described his father Isaac as a bookkeeper since that occupation appears on some records, but a more accurate description of Isaac's occupation would be banker and stockbroker. He was a well-read man who published a treatise on accountancy in 1804 and a manual on the topic in 1810. Isaac had taken his family to Paris in the late 1790s. There Isaac worked for the banker Fould and later, remaining in Paris, he became an independent stockbroker. Olinde entered the Lycée Impérial (now the Lycée Louis-le-Grand) in Paris. Chasles was a contemporary of Olinde at the Lycée Impérial and both sat the entrance examinations for the École Polytechnique and École Normale in 1811. Rodrigues was ranked first in the competitive examination while Chasles was ranked second. In 1812 (at the age of 17) Olinde was a class assistant for the mathematics course at the Lycée Napoleon. By the time Rodrigues got his doctorate, the good years for the reformers were coming to an end and with them any possibility of Rodrigues becoming an academic mathematician. After the 1815 Restoration the Catholic hierarchy took control of educational and academic institutions ... Whatever Jewish mathematicians there were could not obtain teaching positions, and most of them abandoned the subject or used their mathematical abilities in applied work for private enterprises. Remember that to do anything great you must be impassioned. The Saint-Simonian School grew up with Saint-Simon's unfinished book Le nouveau christianisme Ⓣ providing its basic philosophical basis. The School argued that industrial production was most important for society and this would support a peaceful social organisation which would rapidly improve the lot of the poor. Rodrigues was one of two joint leaders of the Saint-Simonian School, the other being his former student Prosper Enfantin. The two were also founders of the review Le Producteur which attacked the notion of competition. Rodrigues argued that working men were kept poor by lending at interest and by inheritance. Saint-Simon had been persuasive indeed to have the banker Rodrigues argue against lending without interest! Rodrigues also argued in favour of mutual aid societies and profit-sharing for workers. By 1832 Enfantin began to argue for extreme views, particularly on sexual freedom, which went further than Rodrigues was prepared to go and Rodrigues left the Saint-Simonian School, declaring himself the true disciple of Saint-Simon. In August 1832 Rodrigues was arrested and charged with organising illegal meetings and outraging public morality. He was fined fifty francs. ... investigate the physical organization, intellectual and moral character, languages and historical traditions of the human races and to establish the degree of their intelligence and culture. ... equal aptitude for civilization in suitable circumstances. ... women will one day conquer equality without any restriction. These views were much criticised by other members of the Paris Ethnological Society who argued that Rodrigues was being sentimental and that science proved that he was wrong. Most of Rodrigues' writings were on politics and social reform but he also wrote pamphlets on banking. In 1840 he published a mathematical paper which contains the second result for which he is known today, namely his work on transformation groups where he derived the formula for the composition of successive finite rotations by an entirely geometric method. Rodrigues' composition of rotations is basically the composition of unit quaternions. The paper appeared in volume five of the Annales de mathématique pures et appliquées which was perhaps better known as Annales de Gergonne and is described in detail in . The story of the Rodrigues formula for Legendre polynomials is somewhat more complicated due to the fact that Rodgigues' paper on the subject does not appear to have been noticed at the time, or if it was then it was quickly forgotten. Ivory and Jacobi published an article in the Annales de mathématique pures et appliquées in 1835 giving a proof of the same result which both Ivory and Jacobi had discovered independently. They did not know of the earlier paper of Rodrigues and as a result the formula became known as the Ivory-Jacobi formula for some time. However, in 1860, Hermite came across the original paper by Rodrigues. The fact that we know it today as the Rodrigues formula is due to Heine. 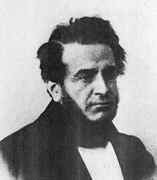 Heine was an expert on Legendre polynomials, Lamé functions and Bessel functions and he wrote a book in which he proposed that, since Hermite had shown that Rodrigues had priority in discovering the formula, then it should be known as the Rodrigues formula. Heine always used that name from then on and through him we call the formula the Rodrigues formula today. Several mathematicians worked on this problem after Rodrigues, such as Netto and MacMahon, but they did not know of Rodrigues' fine piece of work. These ideas are now important in group theory and group representation theory, but sadly Rodrigues did not influence this work as his results were missed until 1970 when Leonard Carlitz discovered Rodrigues' contribution. Really Rodrigues was remarkably poorly appreciated by his contemporaries both as a mathematician, where he showed remarkable intuition in studying important problems, and as a social reformer where many of his views have at last become the accepted ones. As the first of two footnotes, we remark that the ship the Franconia was built in 1872 and sailed the West Indies route for the Hamburg-American Packet Company until 1878. In that year the Franconia was sold to the French Line (Compagnie Generale Transatlantique) and renamed the Olinde Rodrigues. This ship sailed for the French Line until it was scrapped in 1908. As a second footnote, we remark that Rodrigues has many incorrect references to him in the mathematical literature. Élie Cartan thought that Olinde Rodrigues was two separate people, one called Olinde and one called Rodrigues. Several later authors, such as Temple, repeated Cartan's error.